and our 100% customer loyalty rate is the proof. From the kick-off meeting through implementation to ongoing use of our applications, we make sure your organization gets big results and continued value from our solutions. 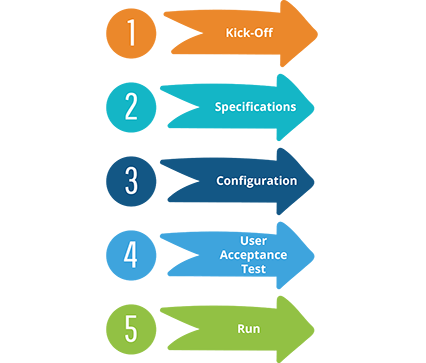 The PeopleDoc Implementation Team will work with your organization from kick-off through go-live to ensure a successful rollout of the solution. Our unique HyperCare following go-live ensures you see the right results fast. Whether your organization is going live with PeopleDoc for the first time, expanding into new geographies or capabilities, or even a team member needs a little help, PeopleDoc University helps you maximize user adoption and satisfaction.